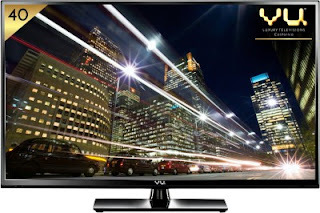 Vu 40K16 40 inches LED Full HD Tv with A very limited time discount sale on flipkart. Market price for Vu 40 inches LED Tv is 29000 Rs, but here you are getting the opportunity to grab this awesome deal in just 23,990 Rs. Exchange offer is also available in 21,490 Rs. Vu sells in much affordable price, because they sell their branded products directly to the end customer. So, they remove the distribution cost and provide the benefit to their customers. For more daily updates, discocunt offers, freebies, tricks and much more stuff. Stay along with All India Coupons.